Of course, there were good reasons not to believe the first pope, a man who had denied Our Lord three times in public, going so far as to swear that he did not know who Jesus was. While not denying Peter’s authority, Thomas did doubt his credibility. 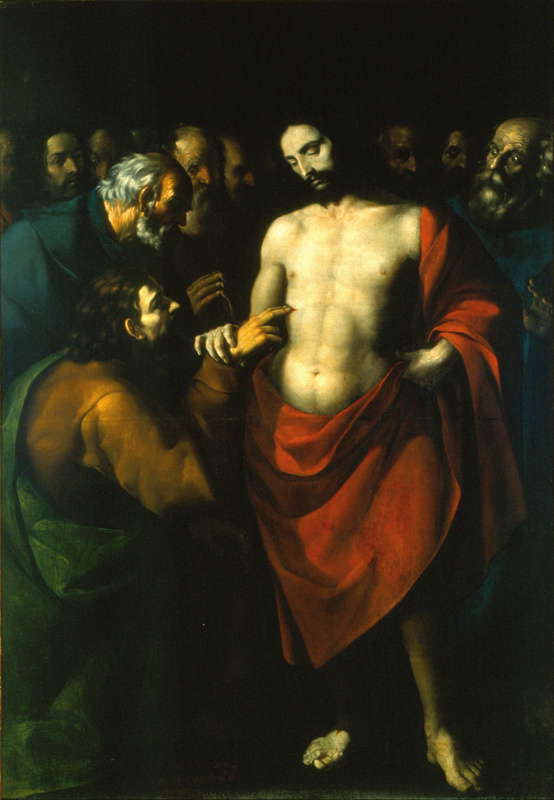 Thomas insisted on seeing Christ’s body. It is kind of hard on the memory of Thomas that he is singled out in this way, for when Mary Magdalene told the rest of the apostles that she had seen the risen Lord, they did not believe her. When Our Lord finally did appear to these eleven apostles, He chastised them for their unbelief (Mark 16:14). Thomas was just acting in the same careful, skeptical manner as the others were, including the pope himself. But neither Thomas nor the apostles were professional skeptics. They were just very cautious thinkers, careful men who needed to be shown evidence that Christ was alive. Such atheism comes from people being too clever by half, the kind of men who never have to face the real world. I personally think there is a link between men and women having calloused hands and their being Christians—the experience of reality leads to belief. The first Vatican Council defined as Catholic Doctrine that, unaided by grace, man can reason to the knowledge that God exists. Man can, but it appears that some men cannot. In fact, some modern philosophers cannot reason at all. I once built a house for a philosopher whose specialty was Hegel. I got a worried phone call: all his windows were broken or painted shut, and he could not open any of them. At his house, I showed him with as much gravitas as I could manage how to unhook the latch and open the windows. That some glory boy media hounds cannot reason to God is their problem, not ours. Normal men and women can, even children can, and do quite successfully. In my opinion, that is why Christ came to Bethlehem and revealed Himself to the shepherds. It was partly to humble the wise, or rather those who often claim to be wise and who are actually very stupid. But I do not need to fall back on reason alone, for I see Christ on the altar each time I go to Mass. By Sebastián López de Arteaga (1610 – 1652) (Spanish) (Painter, Details of artist on Google Art Project) [Public domain or Public domain], via Wikimedia Commons.